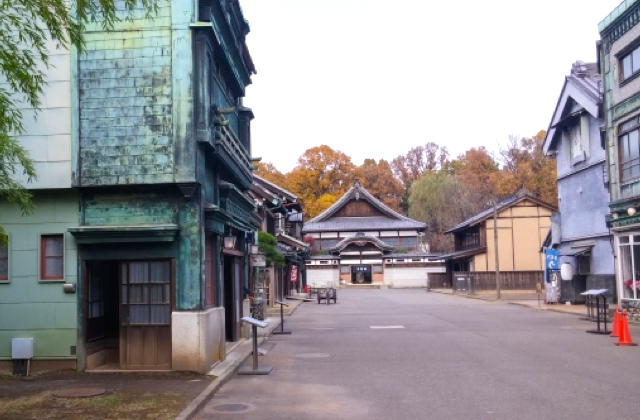 Tokyo has a lot more to offer than you think: Visit Tama! Tokyo is one of the largest cities in the world, and one that probably almost everyone imagines is packed with skyscrapers, busy streets and neon lights. Tokyo is, however, much larger and more diverse than you realize: it encompasses mountains and hills in the Tama area to the west, and tropical islands in the Pacific Ocean to the south as far as 1,000 km from the mainland. Here we will navigate you through the Tama area in the west of Tokyo, which can be reached in one to two hours by train from the city center. 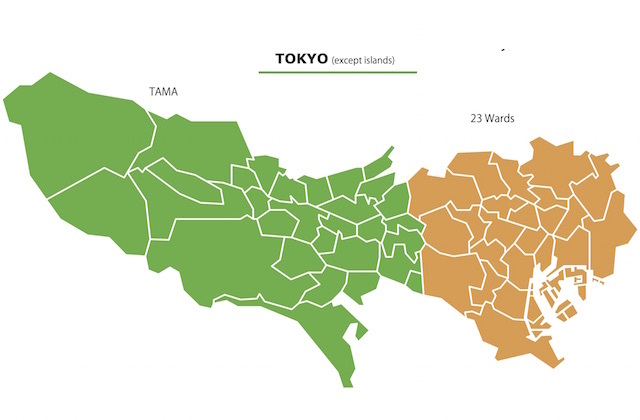 The Tama area consists of twenty-six cities, three towns and a village, and is occupied by one-third of the entire population of Tokyo (about 4.2 million). The area covers half of the entire Tokyo Metropolis. The Tama area is packed full of natural wonders. The area gently slopes from mountains and hills in the west towards plains in the east, and the Tama River (measuring over 130 km in length) and many other rivers, including the Akigawa River and the Asakawa River, run through it. Mount Takao, a Michelin-starred tourist attraction, is located in the Tama area, too, and there are many places to visit around there where you can enjoy outdoor activities such as hiking, camping and kayaking, as well as spelunking in limestone caves! Remains of ancient structures, as well as Palaeolithic and Neolithic sites, can be found in the Tama area. From the 8th–10th centuries, the provincial government of the Musashi Province was established in today’s Fuchu City, and the area was the center of politics and culture. In modern-day Kokubunji City, a large-scale provincial temple, Kokubunji, (the origin of the city’s name) was built featuring a seven-story pagoda. In the 17th–19th centuries, highways linking Edo (today’s Tokyo) with Ome (Ome Kaido) and Yamanashi (Koshu Kaido) were created. As the east-to-west traffic network developed, post towns such as Kokuryo (Chofu City), Fuda (Chofu City), Fuchu, Hino and Hachioji were formed along the routes and the Tama area became the focal point of land ways. Making use of this traffic network and the Tama River, goods that supported lives in Edo, including coal for plaster walls, timber and charcoal for heating, were delivered. The Tamagawa Josui Waterworks were constructed, too, in order to satisfy the demand for drinking water. The textile industry sprang up in the Tama area in ancient times, and cotton and silk textile industries flourished in cities such as Hachioji, Ome and Musashimurayama. The appeal of the Tama area is broad and diverse: abundant nature, food, traditions, history and culture. Discover some of the activities and points of interest in Tama here! *Please, DO NOT try to go hiking or mountain climbing without a map. Visit a visitor center and make sure to get a bilingual map if available. Even if it is not available, get one in Japanese. The signs are often in Japanese only, and if you have one in Japanese, you can match the kanji written on the signs. Measuring 599-meter tall, Mount Takao is known as the site of mountain ascetic practices. There are five climbing routes of different difficulty levels. You can get halfway up by cable car or chairlift, so beginners can enjoy a casual hike from there. A circular hiking route at the summit takes about 30 minutes to complete. Mount Mitake is a 929-meter mountain located in Okutama. From the top, you can look out over Mount Tsukuba in Ibaraki, skyscrapers in central Tokyo, the Boso Peninsula in Chiba as well as Yokohama Landmark Tower. A point station at 831 meters is easily accessible by cable car, so this is a perfect mountain for beginners, the elderly and children to climb. There are various trail courses ranging from 45 minutes to 2 hours and 30 minutes beginning from Mitakeyama Cable Car Station. If you climb up all the way on foot, it takes approximately 1 hour. At the summit, a popular hiking course called Rock Garden leads you to lush vegetation, waterfalls, and scattered moss-covered rocks in different sizes and shapes along a stream. From the peak, you can traverse to the top of Mount Hinode in about 40 minutes. The best season to see autumn foliage is from the beginning to the middle of November. How to get there: Take JR Chuo-line from Shinjuku. Transfer at Tachikawa Station to the Ome Line and get off at Mitake Station. Take a bus to Cable-shita Bus Stop (approx. 10 mins). 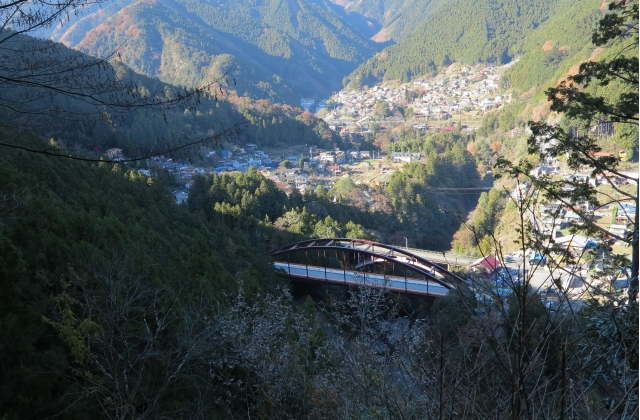 It is a 5-minute walk from the bus stop to Takimoto Cable Car Station. 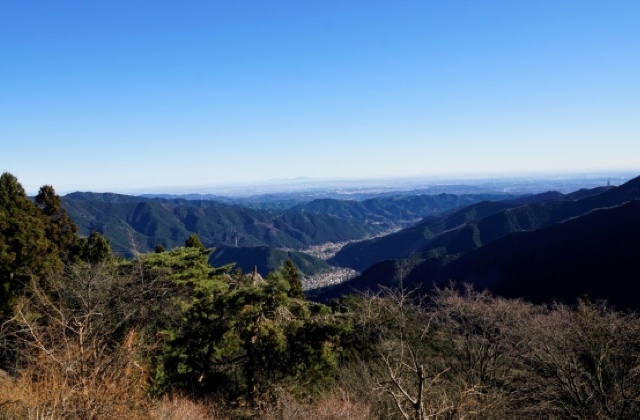 Mount Hinode is a 902-meter mountain located within Chichibu-Tama-Kai National Park. The summit offers a view over mountains in Okutama and the Kanto Plain, and, weather permitting, even as far as Tokyo Skytree. Mount Hinode is a popular spot to see the first sunrise of the year. It takes about 1 hour and 30 minutes from Matsuo Bus Stop to the mountain top. 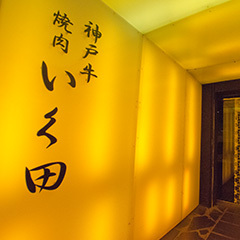 On the way back, wash away your fatigue and refresh yourself at the Tsuru Tsuru Hot Springs bath. 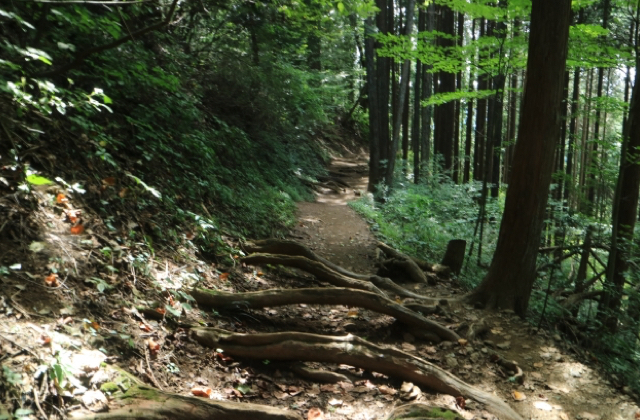 A hiking trail links the tops of Mount Hinode and Mount Mitake. How to get there: Take JR Chuo-line from Shinjuku and transfer at Tachikawa Station to the Ome Line. Transfer again at Haijima Station to the Itsukaichi Line, and get off at Musashi Itsukaichi. From Musashi Itsukaichi, take a bus and get off at Matsuo (approx. 20 mins). 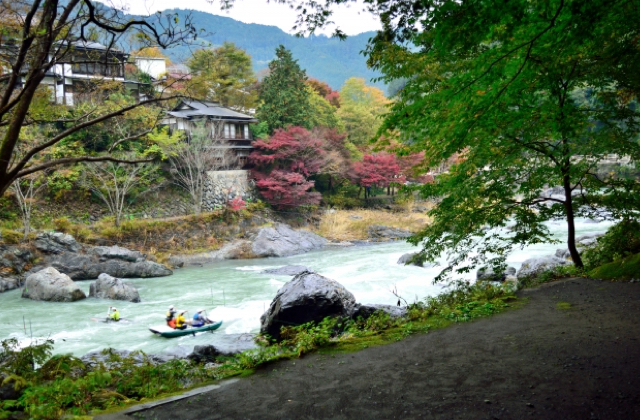 Measuring 1,528 meters, Mount Mito is located upstream on the Akigawa River. 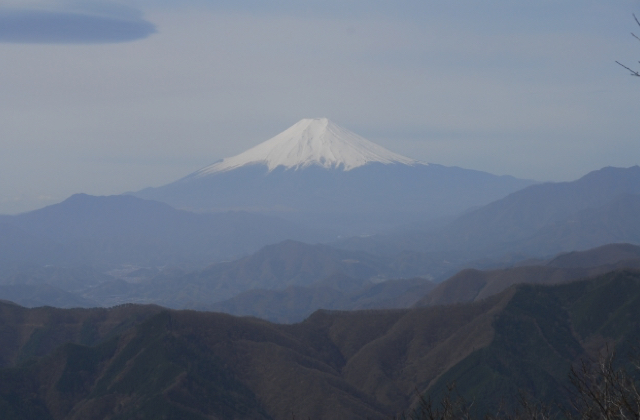 Mito literally means “three heads” in Japanese, and Mount Mito has three peaks: East, Central and East. 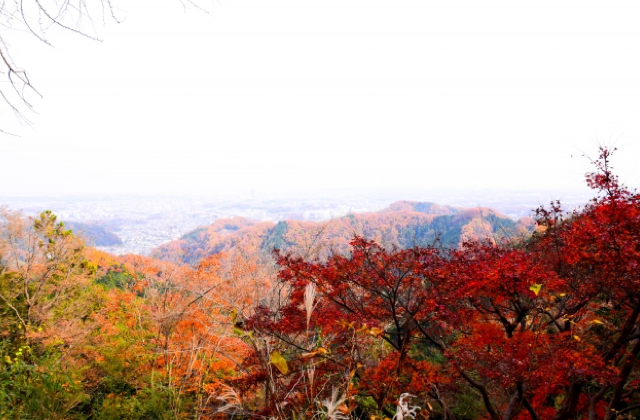 Compared to other mountains in Tama, Mount Mito’s lush vegetation and colorful autumn foliage is lined up in close-range to Mount Fuji, so you can enjoy the famous view of this well-proportioned mountain from the west peak. 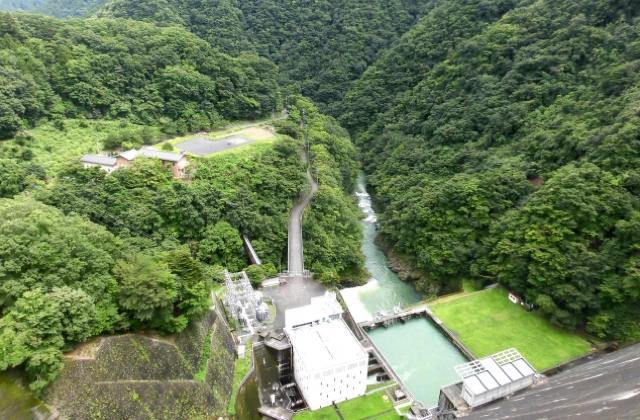 You can also go up to the summit through the well-maintained trails of the Hinohara Tokyo Citizen Forest via Mito Great Waterfall. It takes 3-4 hours to go up and down the mountain when taking the route with a lookout, a viewing pavilion and Sayaguchi Pass. How to get there: Take JR Chuo Line from Shinjuku and transfer at Tachikawa Station to the Ome Line. Transfer again at Haijima Station to the Itsukaichi Line, and get off at Musashi Itsukaichi. From Musashi Itsukaichi, take a Nishi Tokyo bus and get off at Kazuma (approx. 60 mins). There is a shuttle service from Kazuma to the Hinohara Tokyo Citizen Forest (approx. 15 minutes) available on Saturdays, Sundays and national holidays in March and from April to November. Appreciate a view of the Tama River threading its way through huge rocks. 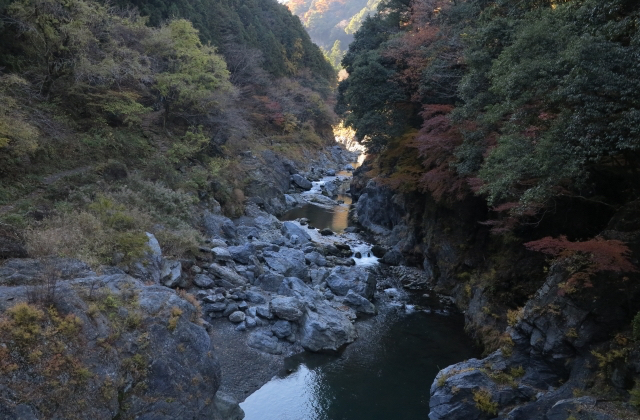 The flow of the river here is considered to be especially beautiful within Chihibu-Tama-Kai National Park and was selected as one of the top 100 "exquisite" waters of Japan by the Ministry of Environment. There are walking paths on both sides of the river encompassing about 4km, which offer stunning scenery of the changing seasons. You can find many people enjoying water sports such as kayaking here. In Sawai, there is a garden run by a local sake brewery, and you can have a break here with a sip of sake and a bite of traditional Japanese steamed cake, while overlooking the valley. How to get there: Take JR Chuo-line from Shinjuku. Transfer at Tachikawa Station to the Ome Line and get off at Ikusabata, Sawai or Mitake Station. 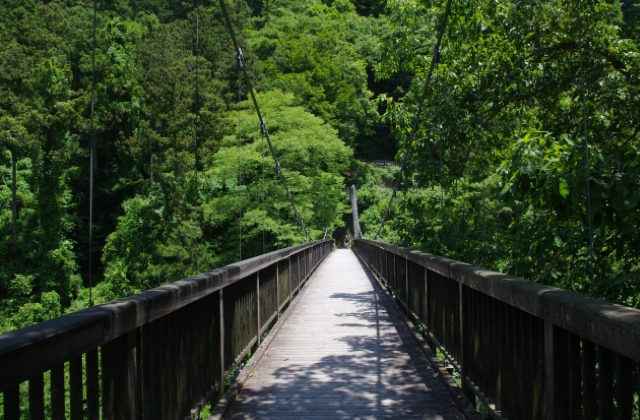 Okutama Mukashi-Michi Trail is a route connecting Hikawa and Kogochi, which used to be called Old Ome Kaido. 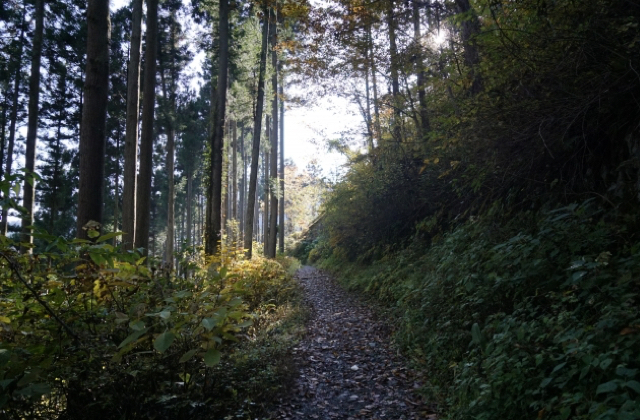 There is about a 9.4 km walking path from JR Okutama Station to Lake Okutama, and it takes about 4 hours to complete the trail. 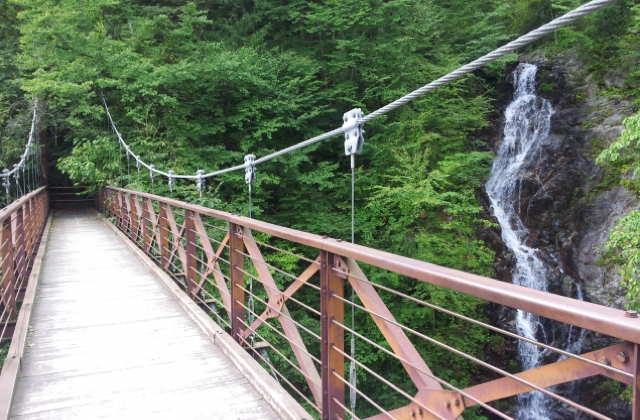 Shidakura Suspension Bridge is hung over Sogaku Valley where there are huge rocks along a stream. It might be an exciting experience to go across the bridge, because only 5 people can cross at one time! From the halfway point, you can see the vivid contrast of the emerald green water of the river and burning red maple leaves. The best time to see autumn foliage is mid-November. The fresh green season is recommended, too. How to get there: Take JR Chuo-line from Shinjuku. Transfer at Tachikawa Station to the Ome Line and get off at Okutama Station. 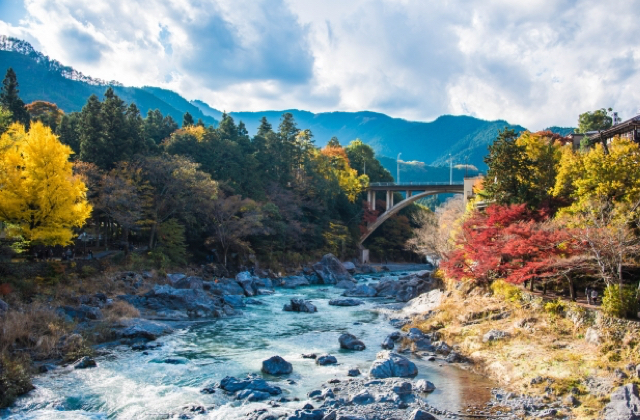 Akigawa River is the largest stream that feeds into the Tama River, and the valley of about 20 km between Akiruno City and Hinohara Village is called Akigawa Valley. In summer, many people enjoy having riverside barbecues. How about taking a walk along the Akigawa River after seeing the magnificent Hossawa Falls, included in The Best 100 Waterfalls of Japan. The view over the valley from the Ishibunebashi suspension bridge is also not to be missed. Kotokuji Temple, featuring two giant ginkgo trees, is worth making a detour for, especially in autumn. After walking, refresh yourself at the Seoto-no-Yu hot springs. How to get there: Take JR Chuo-line from Shinjuku and transfer at Tachikawa Station to the Ome Line. Transfer again at Haijima Station to the Itsukaichi Line, and get off at Musashi Itsukaichi. From Musashi Itsukaichi, take a bus and get off at Hossawa no Taki Iriguchi (approx. 25 mins). It takes about 25 minutes on foot from the bus stop to the valley. There are a variety of walking trails for different levels of fitness and endurance, from an easy 1-hour course that goes past Mito Great Waterfall to a more challenging 4 to 5-hour trekking course that climbs Mount Mito. 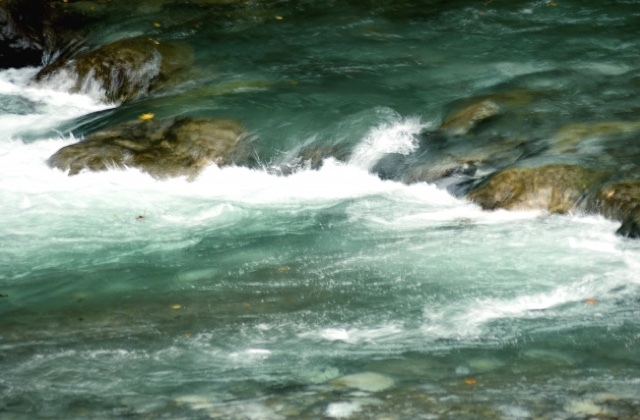 Crystal clear waters of the Tama River thread their way through huge rocks and oddly-shaped stones. The name “hatonosu” (pigeon nest) is derived from a legend that two intimate pigeons built a nest at Tamagawa Suijinja Shrine located in the rocky area. 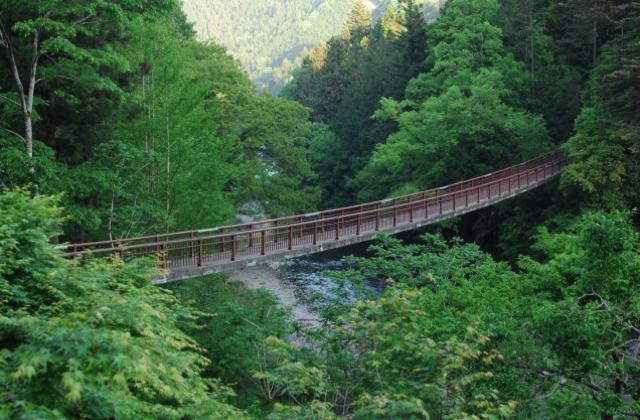 Hatonosu Valley is situated halfway on the 5 km Otama Walking Trail between JR Kori Station and Shiromaru Station. How to get there: Take JR Chuo-line from Shinjuku. Transfer at Tachikawa Station to the Ome Line and get off at Hatonosu Station. Go across Ome Kaido in front of the station and, from there, it is a 10-minute walk to the valley. The Shiraiwa Falls hiking trail begins from Shiraiwataki Bus Stop up to the top of Mount Hinode via Shiraiwa Falls, then goes down through Mount Hinode Hiking Trail. From the top of Mount Hinode you can look out across the center of Tokyo and Kanto Plain. It takes about 4 hours in total. This hiking trail is for people who are physically fit. How to get there: Take JR Chuo Line from Shinjuku and transfer at Tachikawa Station to the Ome Line. Transfer again at Haijima Station to the Itsukaichi Line, and get off at Musashi Itsukaichi. From Musashi Itsukaichi, take a bus and get off at Iraiwataki Bus Stop (approx. 20 mins). Nippara Stream Fishing Site is located in Nippara, an area which is called “Tokyo’s Last Frontier.” Some points on the stream are secured for fishing, and you can enjoy catching fish from a natural waterway. 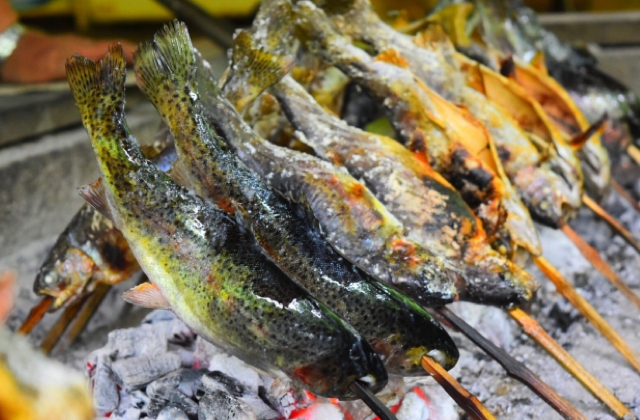 You can have your catch grilled over charcoal on the premises. There is a barbecue spot, too. 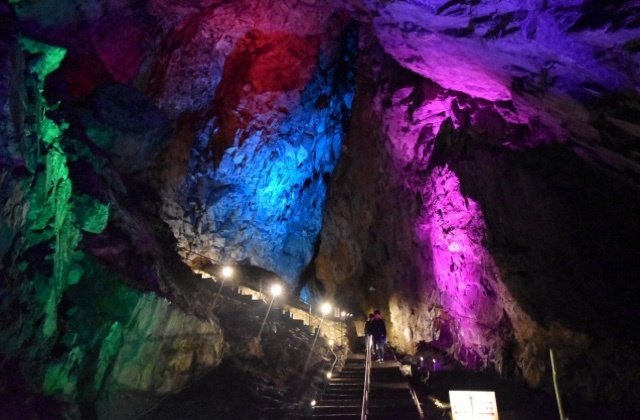 Nippara Limestone Caves, Tokyo’s Natural Monument, are nearby. How to get there: Take JR Chuo Line from Shinjuku. Transfer at Tachikawa Station to the Ome Line and get off at Okutama. It is a 35-minute bus ride from the station to Nippara. 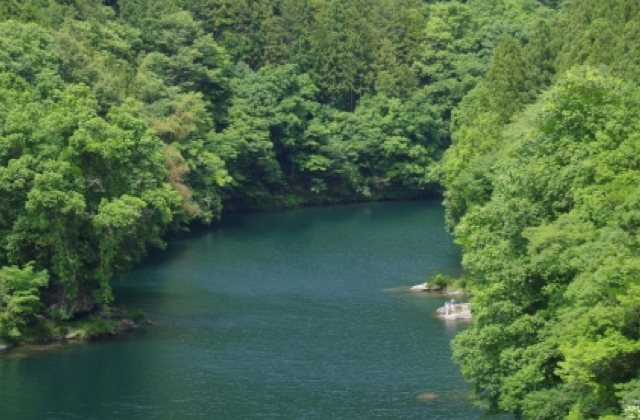 Akigawa International Trout Fishing Grounds offer a variety of fishing spots, including a trout fishing point, a lure fishing area, and a fly fishing spot, as well as a yamame (cherry trout) fishing field upstream, where you will need full stream fishing gear. You can have your catch prepared for cooking, so you can cook it up fresh from the stream! Barbecue grill rental service and grilling ingredients are available, too. How to get there: Take JR Chuo Line from Shinjuku and transfer at Tachikawa Station to the Ome Line. Transfer again at Haijima Station to Itsukaichi Line, and get off at Musashi Itsukaichi. From Musashi Itsukaichi, take a bus on Yozawa Line and get off at Akigawa Kokusai Masu Tsuriba. Be careful not to miss your bus, because the bus service operates very infrequently. On the crystal clear waters of the Tama River or encased in serenity on Lake Shiromaru, you can try a variety of water activities including rafting, kayaking, canoeing and stand-up paddle boarding. You can enjoy canyoning (gorge walking) and bouldering, too! Glamping is a blend of glamorous and camping, which means a form of camping that involves luxurious accommodations and facilities. In a space away from daily life, you can expect a fascinating experience with a professional chef to cook for you. At this enchantingly located luxury glamping grounds, you can look out over Lake Okutama from every tent. WOODLAND BOTHY is designed for one group of guests of up to four people at a time, and you can enjoy a secluded stay in a large cotton canvas tent with a lookout deck. Please note that there is a 1km walk up the mountain from the parking lot to the accommodation. 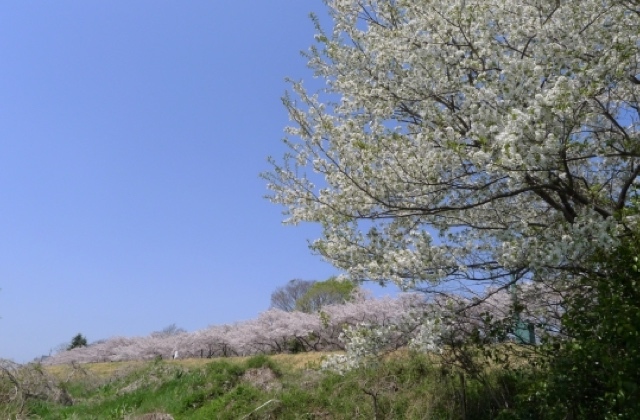 Cycling along the Tama River and Tamagawa Josui Waterworks during the blooming season is highly recommended! The following are bike rental shops easily accessible from a train station. 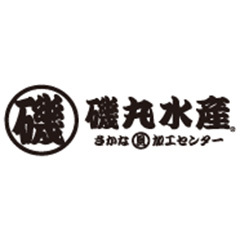 If you are planning to go cycling in the Akigawa Valley area, this is the shop to rent a bike. Tokyo Urayama Base provides a variety of services, including luggage storage service, changing rooms and showers. 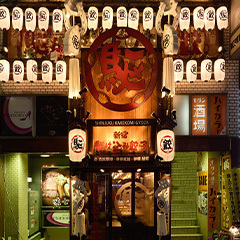 How to get here: A 1-minute walk from JR Musashi Itsukaichi Station. Cycle Harbor Ome has a range of bicycles to offer: hybrid bikes suitable for beginners, mountain bikes, plus lightweight and fast road bikes. How to get here: A 2-minute walk from JR Ome Station. Pick your bike from a range of bikes including mountain, hybrid, and electric bicycles. You can leave your bike in Ome and Kabe, too. Get a special cycling map featuring staff-recommended cycling routes. 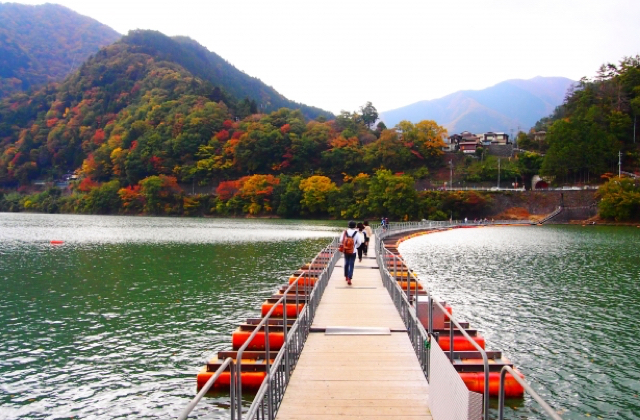 How to get here: A 1-minute walk from JR Okutama Station. How about leisurely exploring on a bike in Hinohara Village with its abundant nature and peaceful pastoral landscapes unlike the typical image of Tokyo? At Hinoharaido Rent-a-Cycle, you can rent an electric bike. 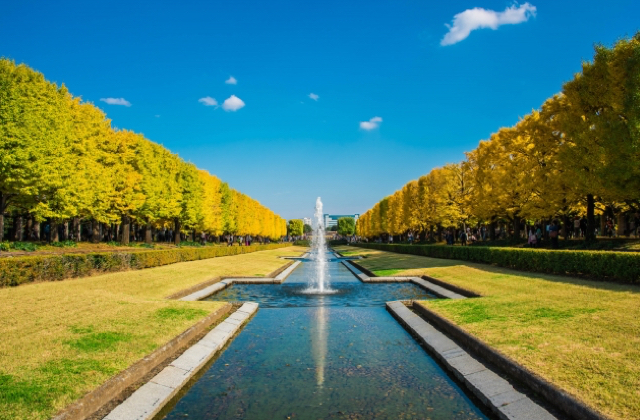 Showa Kinen Park is a national park established to mark the jubilee anniversary of Emperor Showa. Changing with every season, flowers and plants can be seen throughout this vast land of 180 hectares, including 90 plum trees, more than 1,500 cherry trees, 230,000 tulips, and 5.5 million cosmos blooming all over a 20,000 square meter hill. Tokyo’s most significant rows of gingko trees, and more, can also be found here, along with a picturesque Japanese garden. You can enjoy cycling, boating, swimming in pools and barbecuing, too. Every December, the park is transformed by winter light displays. Entrance fee required. 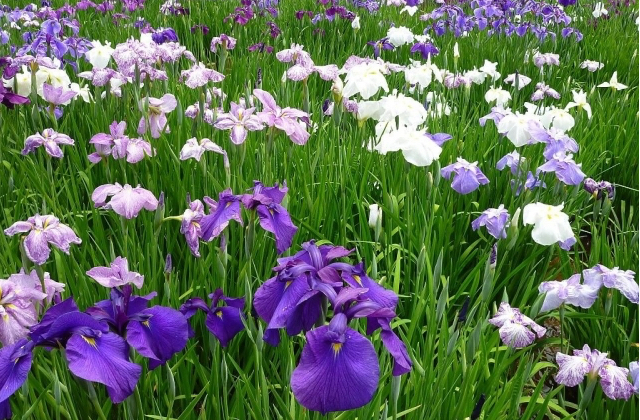 100,000 irises of 300 varieties can be found in this garden. Many plants grow naturally, and wild birds at the pond and the surrounding area attract many people. Higashimurayama Shobu Matsuri Festival is held in the iris blooming season from early June until the middle of the month, and the park gets crowded with many visitors. Shiofune Kannonji Temple is an old temple established around 650 in the Shiofune area. The area’s name, Shiofune (literally: salt ship), is derived from the boat that symbolizes Buddha’s vow to save all of humankind, as well as the landform of the area around the temple which is surrounded by small hills, that resemble the shape of a boat. 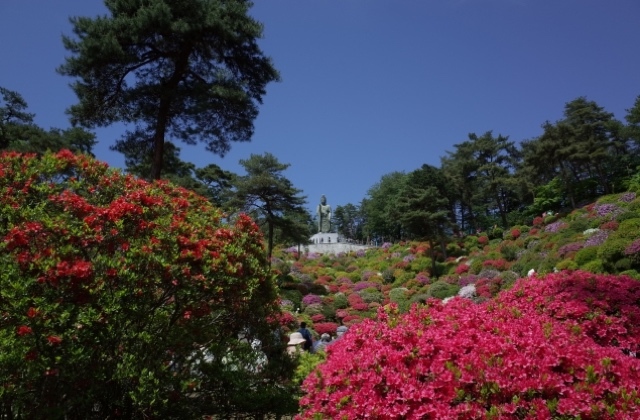 The mountain slopes surrounding the temple precinct are filled with 20,000 azalea plants of 20 varieties in spring. The Shiofune Kannon Tsutsuji Matsuri festival is held from mid-April until early May, which is the blooming season. How to get there: Take JR Chuo-line from Shinjuku. Transfer at Tachikawa Station to the Ome Line and get off at Kabe. Take a bus and get off at Shiofune Kannon Iriguchi. It is a 10-minute walk from the bus stop to the temple. It takes 35 minutes on foot from Kabe Station to the temple. 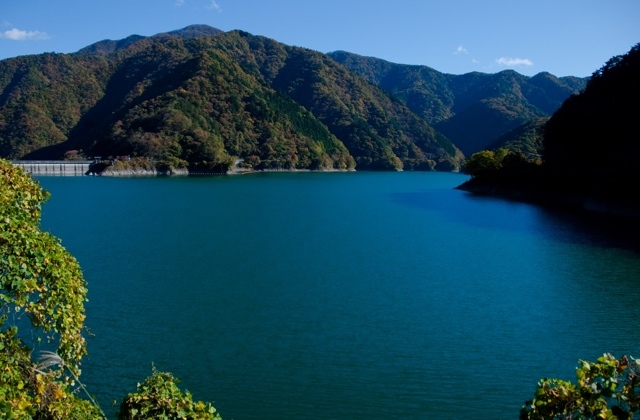 Lake Okutama, or Ogochi Dam, is a precious source of water for people living in Tokyo and supplies 20% of the water they use. There is a circuit road around the lake, and near Kogochi Jinja Bus Stop, you can cross the lake on the pedestrian pontoon bridge. You can find a tiny dam-themed museum with a gift shop and a restaurant attached and an observation tower overlooking the back side of the dam. How to get there: Take JR Chuo-line from Shinjuku. Transfer at Tachikawa Station to the Ome Line and get off at Okutama. Take a bus and get off at Okutamako (15 minutes). Buses operate infrequently, so please be careful not to miss yours. A 20-km long branch of the Tama River, Nogawa River flows from Kokubunji City through Komae City into the Tama River in Setagaya City. You can take a stroll on walking paths on both sides of the riverbank. The best point to see cherry blossoms is the 650 meters between Enokibashi Bridge and Hosodabashi Bridge located downstream from Mitaka Street. When the cherry blossoms are in full bloom they are illuminated, on one evening only, by Arc System Inc., a local company. The date is decided just before the illumination, and it is announced only on the company’s website and a local noticeboard. There are no stalls or events, and you can enjoy a relaxing stroll along the rows of cherry trees. 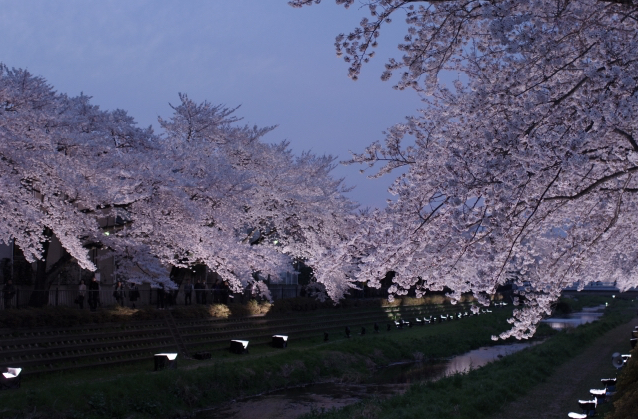 The cherry blossoms are lit up from 6 pm until 9 pm. Over tens of thousands of people travel there just for these precious three hours of cherry viewing. How to get there: Take the Keio Line from Shinjuku. Get off at Fuda Station and walk for 10 minutes to Enokibashi Bridge. Sanrio Puroland is an indoor weatherproof theme park where you can meet and take photos with many Sanrio characters, including Hello Kitty. You can also enjoy entertaining musical numbers and a parade. Recommended for Sanrio character fans, and families with little children. With the catchphrase “Let’s get lost together,” Ghibli Museum is designed to make visitors feel as if they are watching a movie. This museum has something for everyone, whether child or adult, to enjoy in their own way. 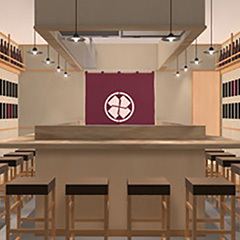 The entry time and date must be reserved, and tickets must be purchased in advance at a Lawson convenience store (tickets for the following month go on sale on the 10th of every month). Edo-Tokyo Open Air Architectural Museum opened its doors in 1993 as a branch of the Edo-Tokyo Museum, aiming to pass precious cultural heritage down to the next generation by relocating, reconstructing, preserving and exhibiting valuable historical buildings. 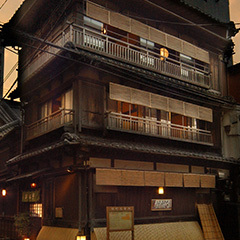 Not a few buildings in this museum are said to have inspired the making of the animation film “Spirited Away.” Enjoy a variety of events, too, including monthly traditional craft demonstrations, nighttime illuminations, and workshops led by craftsmen who are actually involved in the restoration and preservation of the buildings. 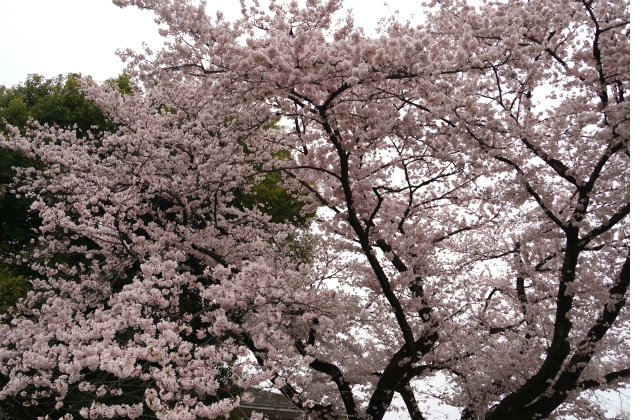 Koganei Park, where the museum is located, is a great cherry-viewing spot. 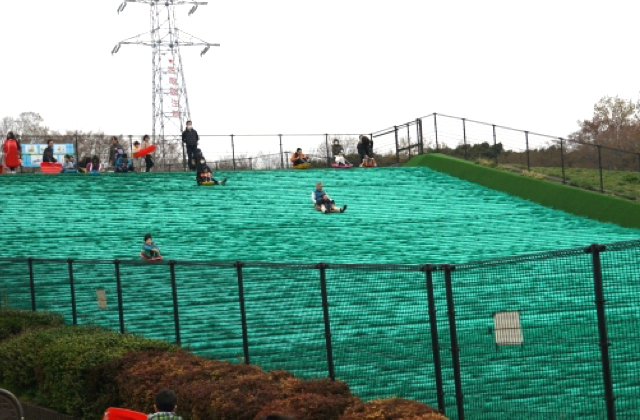 The park provides cycling routes and a sledging slope. Combine your visit to the Museum with some outdoor activities or a picnic in the park!